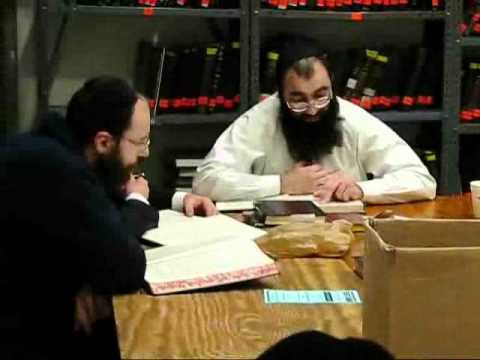 The mission of the Russian Speaking Community Kollel of Brooklyn is to promote Torah Learning among the members of the local Russian Speaking Jewish Community. We believe that the most effective way to accomplish this goal is by providing the participants with a true yeshiva learning experience which we believe to be the ultimate learning experience. The Evening Kollel is set up as a night yeshiva. Everybody learns the same limud. The kollel currently has two levels: 1.the beginner level for those that cannot independetly read and understand Gemorah, and: 2. for those that can. The beginner level is lead by Rabbi Avrohom Yakubov, an experienced Gemorah Rebbi, and is designed to teach the participants to read and understand the simple meaning of the Gemorah, with the commentaries of Rashi and Tosafos. The second level is lead by Rabbi Shlomo Lagoviyer and aims to give a deeper understanding of the "sugyah". In addition, every Thursday there is a chabura (a short lecture) given to the whole Kollel by Rabbi Shlomo Lagoviyer or by one of the other yungerleit. The chaburas are designed to further enhance the participant's understanding of the sugyah. The chabura goes from 8:50 till 9:20 pm, and is followed by "mishmor", at which refreshments are served and one of the yungerleit says a dvar Torah on the Parsha. Mishmor lasts untill 9:45. Every night Sunday through Thursday, 8 pm till 9:30 pm. at the corner of East Ninth and Ave. L.